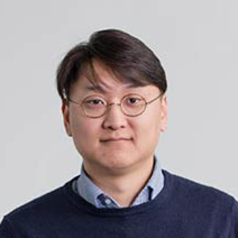 Dr Daniel Shin is currently leading Final year UG Dissertation Module and teaces on various modules across the Product Design and Furniture Design UG/PG programmes at NTU. Previously, Daniel was a lecturer in Industrial Design at Loughborough Design School. For number of years, he took a part-time teaching role at NTU, and other roles such as business advisor and research assistant while undertaking PhD at NTU. He has extensive experience of working in various different countries and diverse field of design professions. Daniel's PhD explored the role of design and measure of inducing sustainable behaviour – reducing energy consumption through design intervention. The study focused at understanding how use of renewable energy source, the human-power, can be used as an everyday energy, and increase energy awareness. Daniel's future research will include works on advancing the knowledge in the field of Design for Sustainable Behaviour, focusing on the use of design-led interventions to promote sustainability within domestic energy use.